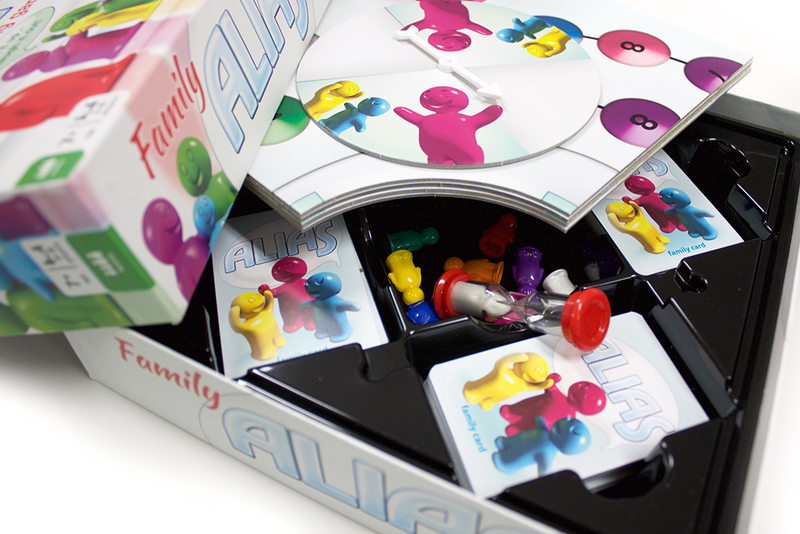 With two types of cards, Family Alias is equally challenging to both children and grown-ups. 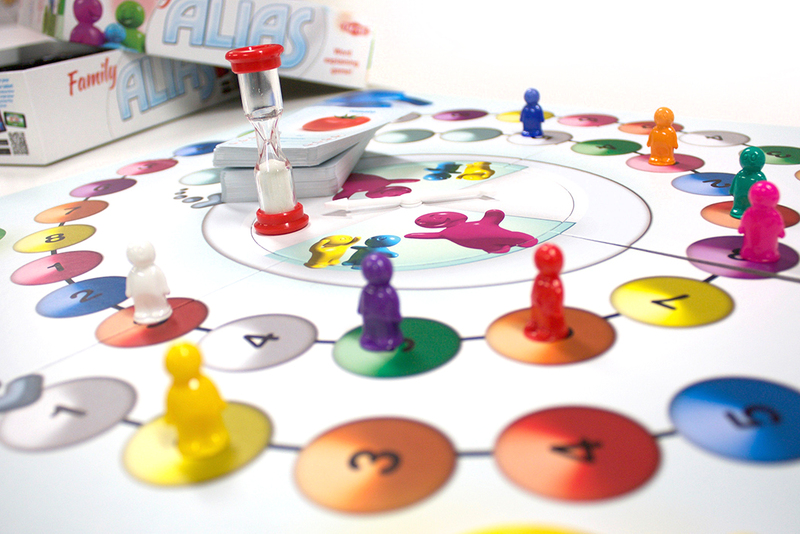 Spin the spinner to see who your partner is for that round, and start to explain! 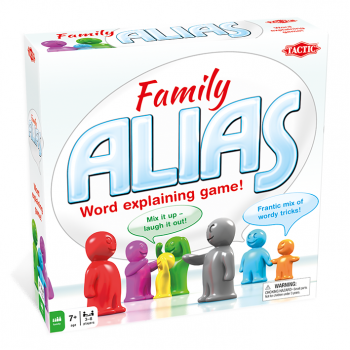 For the grown-ups there are special explaining styles that make the game even more hilarious! 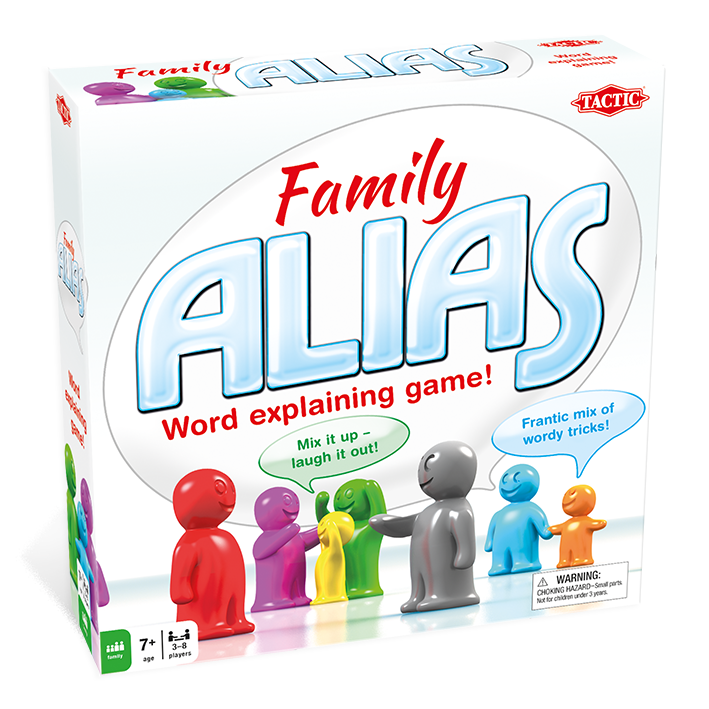 The hugely popular word explanation game Alias is now also Family Alias, a totally new game with different challenges for adults and kids. Explain and guess the words and you could be the winner. Content: 250 Family cards, 130 Adult cards, 20 WILD! 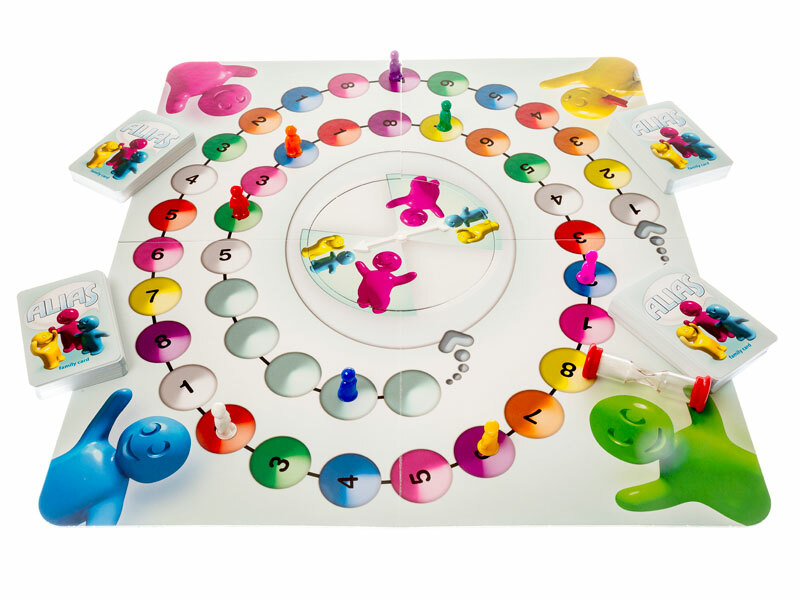 Cards, 1 Sand Timer, 8 Game Pieces, Game Board, Spinner Base + Arrow and Rules.